Pre-terminated cable assemblies including various trunk cables, patch cords, and plug-and-play cassettes provide a plug-and-play, time-saving and easy-to-deploy solution for links between switches, servers, patch panels and ZDA (Zone Distribution Areas) in a data center. However, compared to field-terminated cabling, pre-terminated cabling need more additional upfront planning and detailed analysis in order to establish the cabling and termination routes and lengths needed. Thus, some key considerations should be remembered when planning a pre-terminated cabling infrastructure. Common network architectures include traditional three-tier switch architecture, fabric switch architecture, end-of-row, middle-of-row, and top-of-rack configurations. Understanding what type of architecture and configuration will be deployed in your network will help determine the placement of devices such as switches, routers and servers. In addition, it ultimately impact the cabling termination routes and length needed. It is a very important and basic consideration. 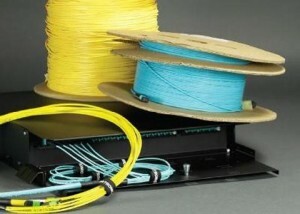 Cabling media mainly includes copper and fiber. To determine which type should be used is a key part of the planning process. The selection criteria are determined by cost considerations, bandwidth requirement, distance limitations, equipment interfaces, power consumption, pathway space, and overall life-cycle costs. In addition, we should also consider the cabling environment such as the influence of electromagnetic or radio frequency interface (EMI/RFI). A right pre-terminated cabling infrastructure is not only to satisfy today’s requirements but also to meet future-proof upgrade. Knowing the migration strategy and future plans is important for us to choose the right pre-terminated cabling and components with enough scalability. 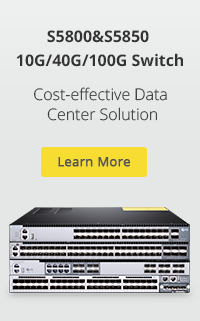 For instance, if we need to migrate from 10GbE to 40/100GbE network, careful consideration should be given to the fiber count, connector type, distances, insertion loss budget, and ease of switching out cassettes or other connectivity components. Pathways contain position, elevations, required separation, and type of pathway system used (e.g. overhead or underfloor) can impact the cable lengths. Thus, considerations such as specific rack heights and clearances, accommodating required separation, selecting the cable support system, etc. should be determined before calculating cable lengths between equipment and patch panels. The rack-level detail of the installation is also an important consideration that impacts pre-terminated cable lengths. It is important to order lengths that do not come up short while avoiding too much slack in cabinets and pathways. In addition, bend radius and service loops must be considered. Moreover, proper sequencing is also important to ensure that longer cable trunks are laid into trays first for an overall cleaner installation. In addition to the above considerations, there are other important considerations for choosing right pre-terminated cabling, such as cable density and airflow. Cable polarity, color-coding as well as the customer needs and specifications also require proper planning and detailed analysis. If using custom pre-terminated cable assemblies, make sure that the delivery of materials can catch up with your deployment schedule. Pre-terminated cabling solution helps save much time and even much labour due to its benefits of plug-and-play and easy-to-deploy. But only choosing the right cabling that can satisfy your network demands will get the most out of the investment. The above contents list some key considerations which may give you some guides before planning a pre-terminated cabling infrastructure. 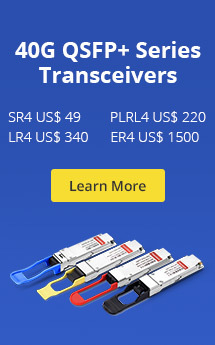 Buyer Guides: FS.COM offers a series of cost-effective fiber and copper pre-terminated cabling solutions which satisfy your today’s and tomorrow network demands. OEM is also available to meet your unique demands. If you are interested in them, you can purchase the most cost-effective products from FS.COM or contact sales@fs.com for details. This entry was posted in Copper Networks, Copper Structured Cabling and tagged data center, pre-terminated cabling, trunk cable. Bookmark the permalink.